We needed to capture the ambiance of their brand and communicate it through their website design. This covered everything from the wealth of amenities to reassuring details on medical services provided to residents. 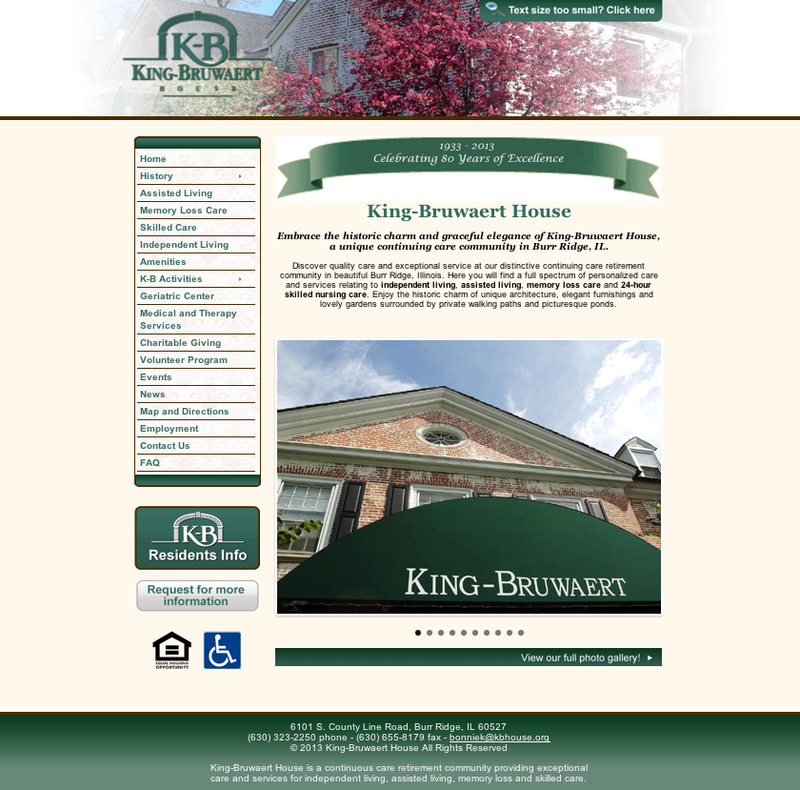 The site included a history of the KB House, information on their Volunteer Program and FAQ section. We also incorporated two forms for contact: one for general inquiries and the other for Employment-related requests. For senior living website design services, dream ink understands the needs of your clients. Many may be older, less tech-savvy, and not likely to make it past the first page of a Google search. Some may be using a mobile device to find local senior living centers. Having a solid foundation to build your web presence upon is the first step in attracting and converting these potential clients. q today to set up a free consultation!